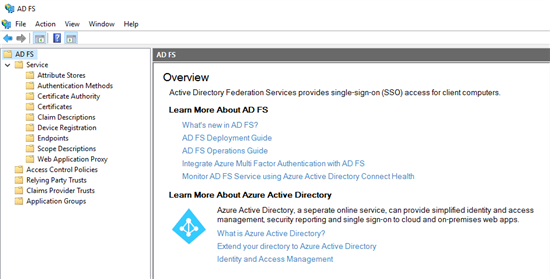 In this article, we will setup the new AD FS 4.0 in Windows Server 2016 to publish external resources with the new Web Application Proxy feature. 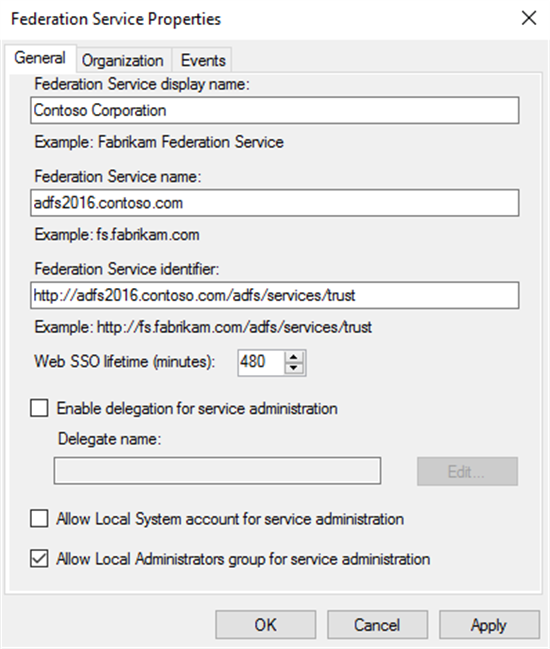 For this scenario, we will use IIS and SharePoint Server relying party and we will go through new features introduced in AD FS 4.0. This new version bring a lot of changes and features in regard of previous AD FS version. 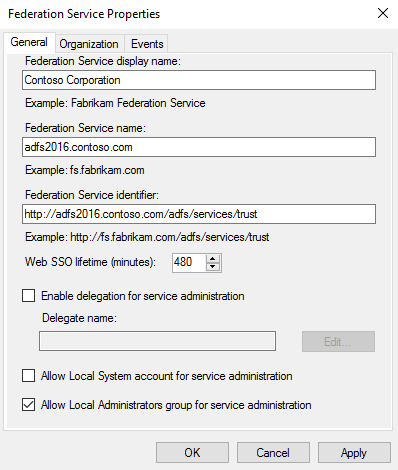 Setup DNS to Public and Internal name resolution : "ADFS2016.CONTOSO.COM"
Note : The certauth subdomain certificate allow you to have only the 443 port used under a different hostname rather than using the same hostname with the 49443 port. You can use the new PowerShell CMDlet : Set-AdfsAlternateTLSClientBinding. See this KB for additional information about this change. You can use both public or private certification authority. For this lab we used an Internal CA, issuing Web Server Template certificates with a default common name and additional DNS Name (Subject Alternative Name). Don't forget to plan certificates for published applications, you can use individual certificate or wildcard certificate. Wildcard certificate will be necessary for publishing wildcard domain through the WebApplicationProxy. -SQLConnectionString:"Data Source=SQLSRV\INSTANCE;Initial Catalog=ADFSConfiguration;Integrated Security=True;Min Pool Size=20"
Now with AD FS 4.0 the https://adfs2016.contoso.com/adfs/ls/IdpInitiatedSignon page is disabled by default. The logon page will be available only with the use of a Relying Party or with an Application Group. runas /noprofile /user:contoso\adfs_admin "mmc %windir%\ADFS\Microsoft.IdentityServer.msc"
Two new settings : BrowserSsoEnabled and BrowserSsoSupportedUserAgents. They work together. When the BrowserSsoEnabled settings is set to true (by default) the browser will try to perform the authentication by itself on the BrowserSsoSupportedUserAgents. This behavior will be present on a Windows 10 computer and not for Windows 7. Note : at this stade, there is no enough information to provide explication on what it's supposed to do. I guess this is for Device Certificate Authentication. As this BrowserSSO attempt take several second more than the "automatic logon with logged-on credential". You can disable this feature if you don't use it. modes. This will be used for User Logon and VPN Access. 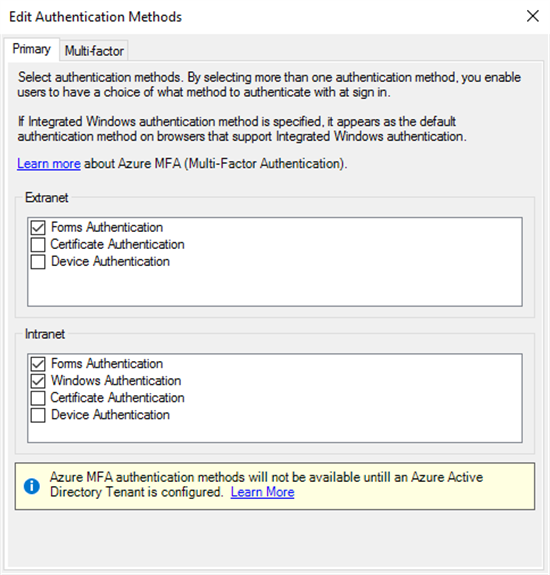 Note: You need to restart both ADFS and Proxy to take this configuration change. 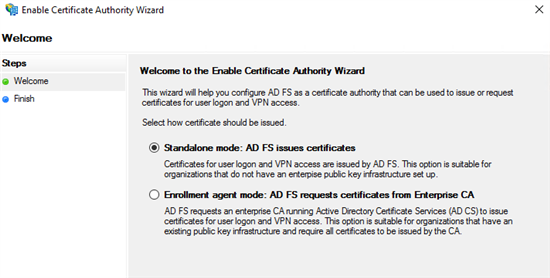 This is a new cool feature introduced in AD FS 4.0, this will allow you to specify a default permission for a new Relying Trust or Application Groups. Permit everyone Grant access to everyone. Permit everyone and require MFA from extranet access Grant access to the intranet users and require MFA for the extranet users. 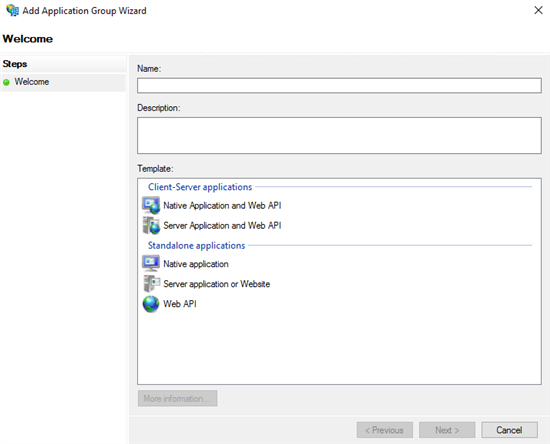 Permit specific group Grant access to users of one or more specified groups. Permit everyone and require MFA from unauthenticated devices Grant access to everyone and require MFA from unauthenticated devices. Permit everyone for intranet access Grant access to the intranet users. Permit everyone and require MFA for specific group Grant access to everyone and require MFA for users of one or more specified groups. Permit everyone and require MFA Grant access to everyone and require MFA for everyone. Right click and "Add Access Control Policy"
Intranet, Internet or Specified by IPv4, IPV6 single address or range. This is much simpler than previous ADFS version where claims rules and regex language was used. 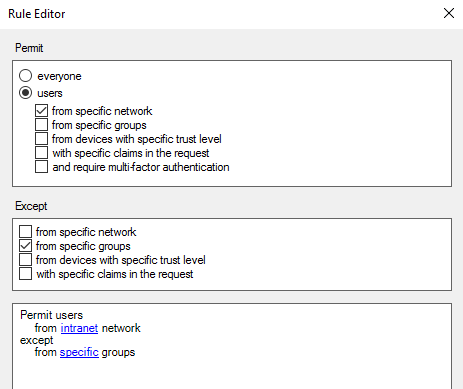 In my example; I will create a new Access Control Policy "Allow Restricted_Group ONLY From Intranet Network"
This took me 30 seconds and I can re-use this policy for future Relying Party ! We will see in the next part how to use these Application Group and how they work. The OAuth Scope Descriptions is designed to work with Applications Group. email Request the email claim for the signed in user. aza Scope allows broker client to request primary refresh token. openid Request use of the OpenID Connect authorization protocol. profile Request profile related claims for the signed in user. logon_cert The logon_cert scope allows an application to request logon certificates, which can be used to interactively logon authenticated users. user_impersonation Request permission for the application to access the resource as the signed in user. 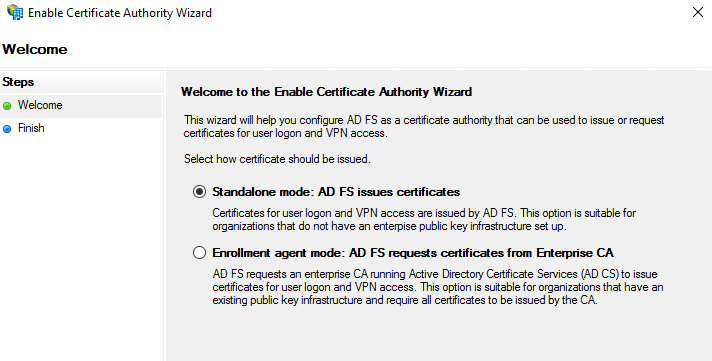 vpn_cert The vpn_cert scope allows an application to request VPN certificates, which can be used to establish VPN connections using EAP-TLS authentication. -SignInPageDescription "Please enter your credential to login"
In the next part, we will see how publish application using the new features.